Based on Dr. Seuss’ famous story, Universal Pictures present beloved holiday classic The Grinch. It is the tale about a cynical grouch who goes on a mission to steal Christmas from others only to feel his own heart grow three sizes larger through unexpected friendships. 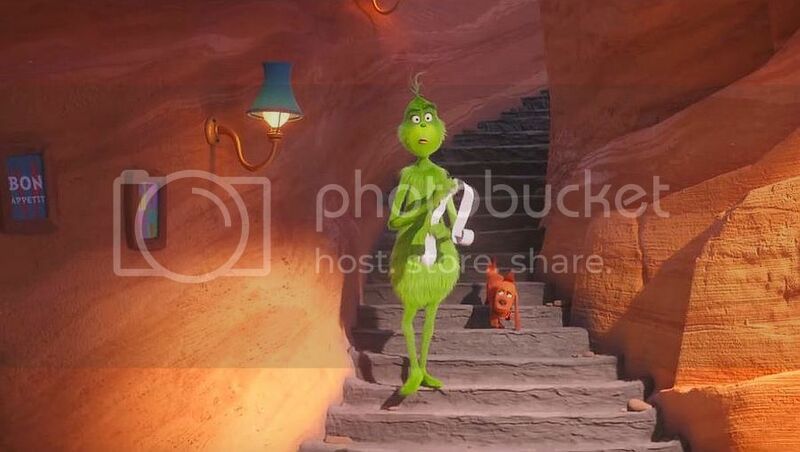 The Grinch and his loyal dog, Max, live a solitary existence inside a cave on Mount Crumpet. His main source of irritation comes during Christmastime when his neighbors in Whoville celebrate the holidays with a bang. When the Whos decide to make Christmas bigger and brighter, the disgruntled Grinch realizes there is one way to gain peace and quiet. With help from Max, the green grump hatches a scheme to pose as Santa Claus, steal Christmas and silence the Whos' holiday cheer once and for all. If you missed the movie on the big screen then you can still enjoy it to the fullest because Dr. Seuss’ The Grinch is coming out on Digital January 22, 2019 and on 4K Ultra HD, 3D Blu-ray™, Blu-ray™, DVD and On Demand on February 5, 2019. Such a treat for New Year! The release contains more than 60 minutes of bonus content, including three mini-movies: “Dog Days of Winter” starring the Grinch and his heroically loyal dog Max; and “Yellow is the New Black” and “Santa’s Little Helpers,” both starring the lovable Minions. Funny, heartwarming and visually stunning, Dr. Seuss’ The Grinch is a perfect night in for the whole family! Dr. Seuss’ The Grinch stars Academy Award® nominee Benedict Cumberbatch as the infamous Grinch. The incredible voice cast includes Rashida Jones, Kenan Thompson, Cameron Seely and featuring legendary actress Angela Lansbury. We are happy to celebrate Dr. Seuss’ The Grinch release and give away two copies of the movie along with swag items. For your chance simply fill the Rafflecopter form below. The giveaway is open to Canadian residents only and ends January 25, 2019! Winners will get a movie copy in best available formats! I would love to win to have on hand to watch when the grandkids are over and we can all watch together! I would love to win this for my kids (and myself) as one of the things we most look forward to at Christmas time is family Christmas movie nights. This looks really funny so would be a big hit at my house. I would love it for my granddaughter who really likes the Grinch. I would love to win The Grinch Movie Combo + Swag for my grandkids ! My grandson loves Mr. Grinch, he would be thrilled with this prize pack! I would love to see this one and I would enjoy watching it with my granddaughter!! I would love to win the Dr. Seuss’ The Grinch and swag for my kids. We could always use something new to watch. wanted to see this at the movies with my grand-daughter but never made it there. this would be great to watch at home! I'd love to win this for my nephew and niece. I would love to win the Grinch Movie so I could give it to my grandchildren. Would love to win this for my son - he loves the Grinch! I would love to win this for my family as we love watching Christmas movies and this looks great. I would like to win for my nephews. My kids loved this movie, especially my 10 year old. I would love to win for them. Would love to win for the family. Love the movie and musical. I would love to win for my niece and nephew. I would love to win this for my kids. They love watching movies! I would love to win for my kids!!! My boys loved the movie. I'd love to win it for them so they can watch it over and over. My son & daughter would like to watch The Grinch (and mommy, too!) so I'd love to win for my family. I would like to win it for my grandkids, they would really enjoy it. 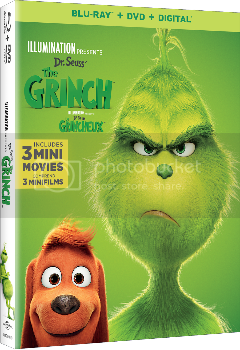 I would love to win this, my daughter loves the Grinch and it's always great to add now family movies to our collection! I'd like to win this for my niece who would totally LOVE it! My 9 year old son.